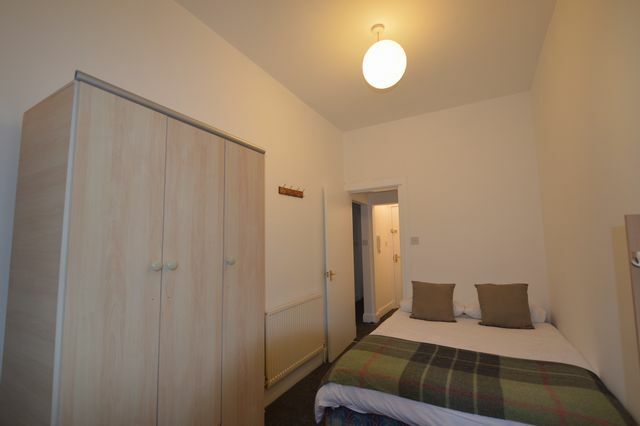 Great two bedroom fully furnished property located in the centre of Stirling. The property is accessed through a secure door entry and is on the second floor. There is a good hallway with a well proportioned lounge, neutrally decorated with modern furnishings. The room has a large window to the front allowing for plenty of natural light. There are two double bedrooms, each with study desk, bed and wardrobe. There is a modern fitted well equipped kitchen and a modern fitted shower room. The property benefits from GCH. Great property for students. Energy Efficiency Rating: C. Minimum of 12 months lease only.